Because food crops are also used for energy production, millions of people are threatened by starvation. Algae could provide an alternative: They only need sunlight to grow, thrive in salty water on barren fields. But it is a major challenge to exactly reproduce sunlight in the laboratory. In collaboration with the Berlin LED manufacturer FUTURELED scientists at the Technische Universität München (TUM) have now developed a methodology for simulating all kinds of light situations. Scientists estimate that there are over 50,000 species of algae and cyanobacteria. Of these, 5000 are known. But, so far, only merely ten have been exploited with commercial success. 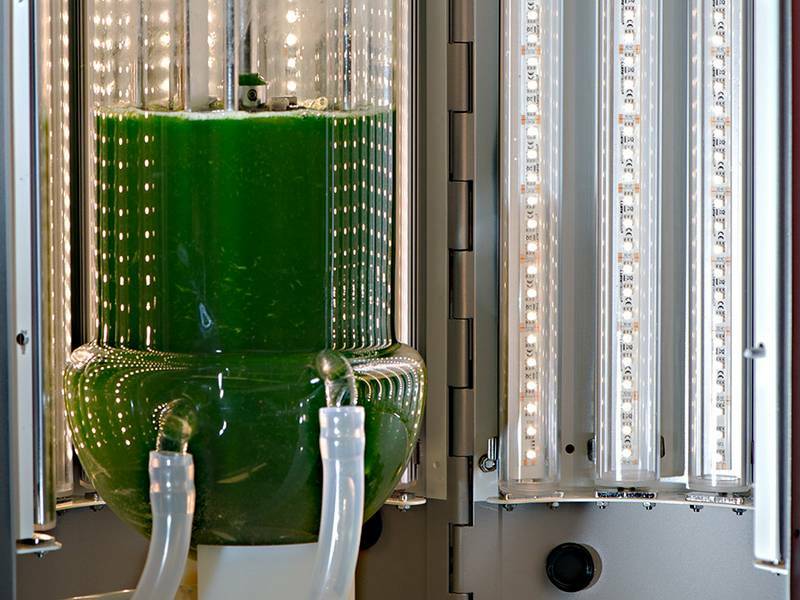 Yet, since algae are so undemanding and thrive even in salt water basins set up on barren fields, they could help solve the problems posed by the utilization of food crops for energy production. 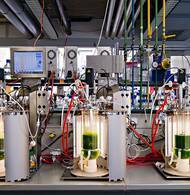 “Algae grow much faster than soy beans or corn. 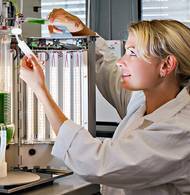 They require neither fertile ground nor pesticides and have a ten-fold higher yield per hectare and year,” says Professor Thomas Brück, director of the Department of Industrial Biocatalysis at TU München. 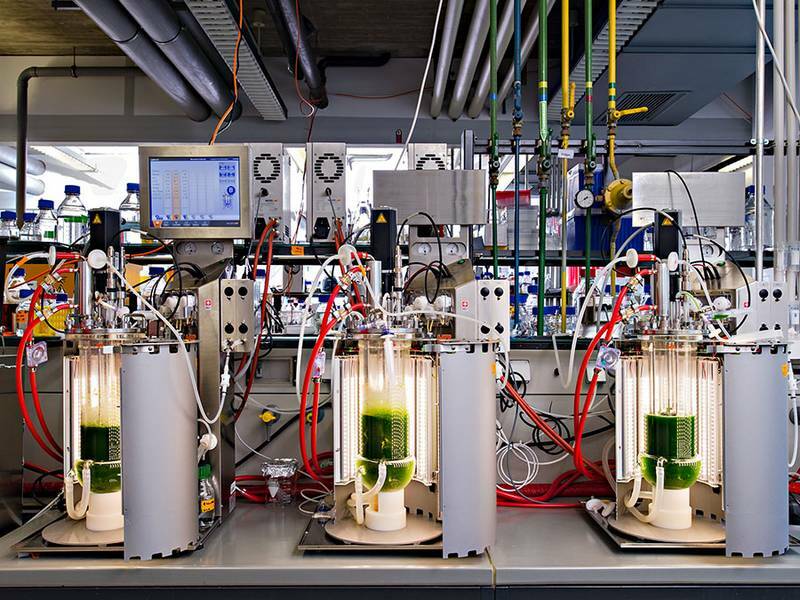 Upon closer investigation of specific types of algae, the scientists discovered a variety of promising products. 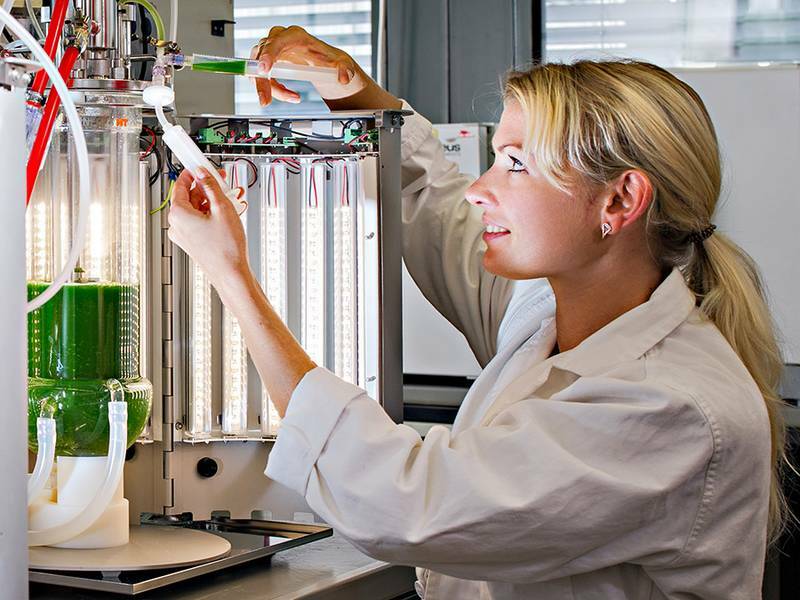 Many algae produce intermediate chemicals and synthesize protein mass and fats. While protein mass could be used as livestock feed, the fats could be converted into fuels. 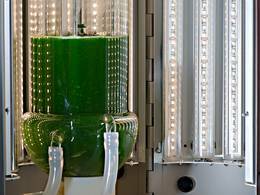 In the context of their work, the researchers, in collaboration with the Berlin based company FUTURELED GmbH, have developed a unique combination of light and climate simulation to optimize algae cultivation. The system uses spectrum-tuned LEDs to simulate the natural spectrum of sunlight. The highly efficient LEDs provide light with wavelengths between 400 and 800 nanometers and a radiation intensity of 1000 watts per square meter with an intensity distribution that very closely models natural sunlight. The various LED types can be controlled individually, allowing the researchers to program specific spectra. This kind of facility would not have been possible using either incandescent or fluorescent lamps. Incandescent lamps generate too much heat and fluorescent lamps cannot produce the full spectrum of sunlight in the required intensity. Triggering specific, targeted wavelengths is impossible in both of these variants. 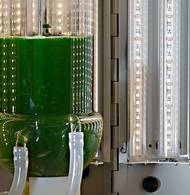 Furthermore, the spectral bandwidths of the LEDs were specifically tuned to the molecular switches that control the growth of algae. If these portions of the spectrum are not properly reproduced the results can be distorted significantly. hh Ludwig Bölkow Campus (LBC) in Ottobrunn, south of Munich. The German State of Bavaria and the Airbus Group are funding the project with 12 million euro.